When choosing a perfume, you want something that is unique. You want this perfume to smell absolutely divine, but also have it be a reflection of who you are as a person. If you’re the romantic type, a floral scent may be the best route. Maybe you’re the flirty, sports type. Then, citrus or an ocean type perfume might be best for you. Consider your budget. Are you looking to spend a little or a lot? If your budget is like most of us, then keep it simple. Stay away from the flower oil perfumes, they are costly and you will not get much for your money. Try to go cheap, but not too cheap. Sometimes you get what you pay for. If it cost a dollar, it’s going to smell like it cost a dollar. Before indulging in your next perfume, be sure to spritz a little on your wrist. 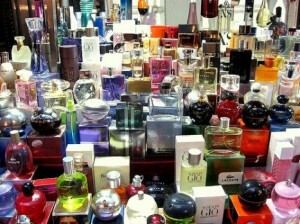 The perfume that you think you love may smell absolutely amazing in the bottle, but it may not smell as pleasing on you. Do not be swayed by pretty packaging, it could be your worst shopping mistake. You could buy the prettiest perfume bottle on the shelf and then find that you hate how it smells on you. Do not be afraid to ask one of the employees at the perfume counter for help. If you are ever unsure of just what perfume is right for you, ask. They will be more than happy to help you, but do not let them sway you into buying something that is way over your budget or something you just do not like. Also, do not be afraid to shop around. You could save yourself some money by going to another store and finding the exact same perfume for less than at another store. Do not rely on radio, commercial, or television advertisements to persuade you. Just because a celebrity is telling you to buy a certain perfume, does not automatically guarantee that it will be the best choice for you and it may be best choice for you. It may be well over your budget and may not smell all that fabulous on you. Make sure that you keep a few things in mind when choosing a perfume. Go natural (no perfume) for the day of shopping, this will allow you get the true scent of a perfume. Trying thousands of shoes on may work for shoe shopping, but not for perfume shopping. Keep it to smaller number, you do not want to overwhelm your sense of smell and get a headache. Make sure to spritz the perfume only on your skin, you do not want to ruin your favorite top or jewelry. Try not to rub the wrist sprayed onto any other part of your body, you could find that you smell of a less desired perfume for the rest of the day. Finally, ask for a test sample to take home. You can spritz a little testing strip and take it with you. You may find that the initial fragrance was quite alluring, but the underlying fragrances are not as sweet. If you already have a fragrance that you love, ask a fragrance salesperson about others within the same family of fragrances. If you are the floral fragrance loving type, you may find that you love several other perfumes just like the one you have always used. Try to stay within the season. You do not want to smell of Christmas in June or the beach in December. Change up your fragrances to keep up with the seasons.